In 2017 Habitat Poland completed a research project to assess the feasibility of the social rental agency model and pilot test it (in partnership with the University of Warsaw and the University of Silesia). In 2016 Habitat Poland established the Housing Coalition – a group of organizations that collectively work to improve the housing system in Poland in various areas: fuel poverty, access to adequate housing for vulnerable groups, protection of tenants’ rights, solutions increasing access to affordable housing for low-income families. In 2016 Habitat Poland organized the first annual housing forum, gathering over 100 key stakeholders concerned with housing policy. 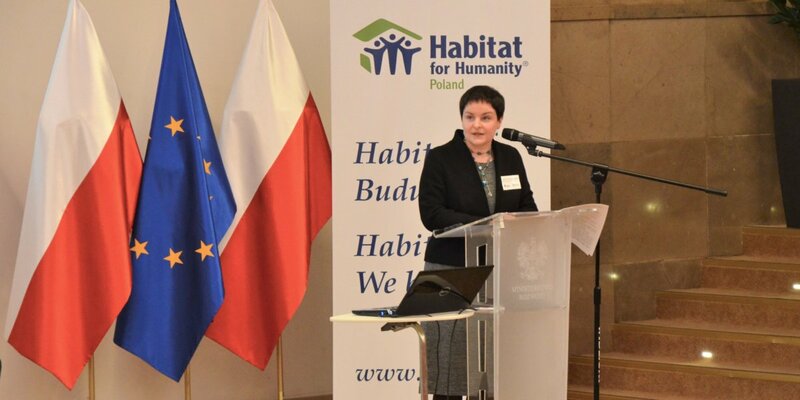 The event was crucial in positioning Habitat Poland as the key housing expert – its outcomes were discussed in person with the minister responsible for housing at the Ministry of Infrastructure and Construction. In 2015 Habitat Poland achieved legislative changes to the Polish Act on Revitalization, preventing up to 240,000 low-income residents from being displaced. In 2015 Habitat Poland published the ”Housing in Poland” report, widely quoted in the media and by government authorities. Habitat Poland speaks at conferences and meetings in the Parliament and relevant ministries (e.g. the Ministry of Infrastructure and Construction) on a regular basis.